MAC RiRi Hearts Collection (Retro Matte Lipsticks and Blush Duo) | Vanity and Everything in Between. MAC Cosmetics collaborated with Rihanna to have her own makeup collection. The products in the collection are inspired by her - her flawless chiseled face and that signature red lipstick. I love MAC but I've gotten over the stage of buying products from their Limited Edition Collection. It's a bit stressful and frustrating at the same time if you don't get to buy what you were eyeing from a certain collection. Also, there's a slim chance of MAC repromoting their products on their upcoming LE collections. But when I saw RiRi Hearts Collection, I was actually stoked to get my hands on them. Truth be told, it's not the best collection MAC released. There are other collections that released more makeup products. I guess I was sold when I saw Rihanna's signature engraved on the lipsticks and blush duo. Last time I saw MAC lipsticks with engraving was in Hello Kitty Collection in 2009. Click read more to see the swatches and my 2cents on this collection! 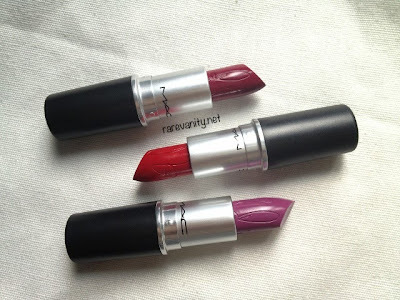 MAC Heaux Lipstick is described as a matte berry shade. When I tried this on my lips, I was immediately reminded of my MAC Rebel. They look almost like. Heaux is just the matte version. MAC RiRi Woo lipstick is described as a matte cool red shade. This is said to be the sister of the ever famous MAC Ruby Woo lipstick. Other bloggers said that you can barely tell the difference between the two. You can only tell the difference when you swatch them side by side since Ruby Woo is ore blue toned. 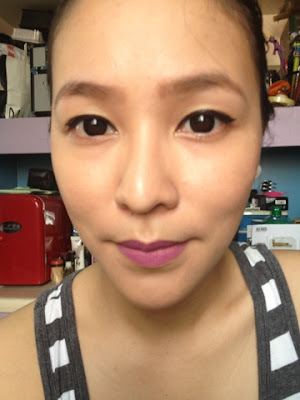 MAC RiRi Boy lipstick is described as a matte vivid lavender shade. Among the three lipsticks, this is the lipstick that I was most excited about as I don't have this shade yet. I love the purple family shades but not on my lips. RiRi Boy has a pink shade to it though so I think it's wearable than other purple lipsticks out there. MAC Blush Duo in Hibiscus Kiss is described as a matte neutral bronzer and cool coral blush. I wanted this blush duo because MAC doesn't always come up with a blush duo. This comes really handy on your travel makeup bag. The bronzer is not that dark but can be definitely used as a contour powder. The blush has a bit of a golden sheen. It's pretty obvious from the pan (although you gotta take a closer look). You can also see the sheen from the swatch. 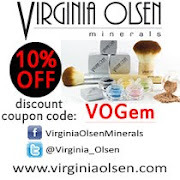 When applied, the sheen is not the visible anymore. So, no need to worry if you don't like sheen on your cheeks. 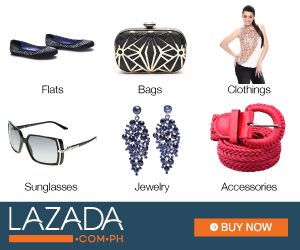 Overall, I like all the products in this collection. Nothing is too over the top. For the lipsticks, what I like the most is RiRi Boy because it's something I can wear on a daily basis. Yes, the shade is lavender with pink tones but as I've said, it's not too over the top where people will take a good look at your lips and start talking about it. I also like Heaux because I'm currently on a berry shade of lipstick shade phase. 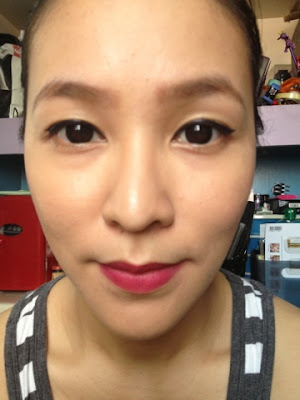 I use this usually in the afternoon when I feel a tad sleepy and want to brighten up my dull (no makeup) face. 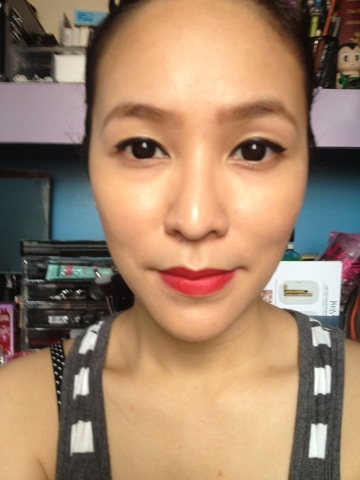 As for RiRi Woo, I didn't really expect anything from this lipstick as this is reminiscent of Ruby Woo. Also, it's basically a bright red - the kind of red that I don't always like on my lips. I prefer dark reds. But oh, you know, I just felt the need (really it's just a want) to buy all three shades! 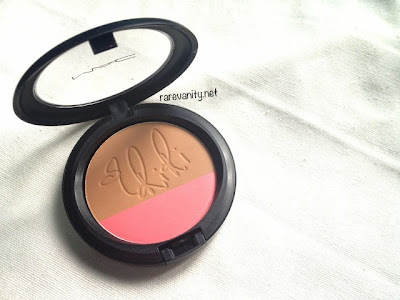 As for the blush duo, this is my first blush duo from MAC so I'm excited about the product. It's smaller than my NARS blush duo, too, so I get to have more free space in my makeup bag. The lipsticks are difficult to apply though because they are retro matte. I don't know for sure how different retro matte is from matte. But I'm guessing that their difference lies on the difficulty to apply them on the lips. If you apply these retro matte lipsticks directly on your lips, expect tugging. I use a lip brush to apply them on my lips especially when I am not in a hurry. 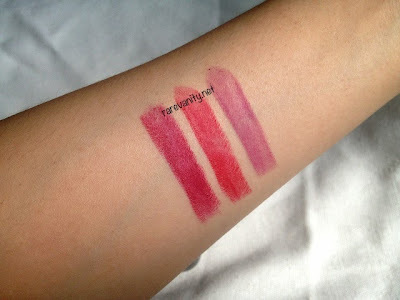 However, the first time I tried these lipsticks, I applied them directly from the tube and it was difficult! The lipstick that was very difficult to apply though was RiRi Woo. It's just so matte! I kind of had a hard time to even out the color on my lips. The blush duo is not the best blush duo out there. You have to be light-handed when using the bronzer for contour as your cheeks can get muddy if applied too much. I know because I accidentally applied too much because I thought the brush wasn't picking up the color! My cheeks looked a bit brown orange. As for the blush, I like it because I don't have a lot of coral shades. Actually, this is the second blush I own that isn't pink. The blush starts as rather sheer but is buildable if you really want the coral shade to show up. I just hoped that MAC divided the pan evenly for the blush duo because it's a bit difficult to get around the blush. The lipsticks stayed on my lips for about 5 hours and started fading on the 6th hour. It was just a one layer application. The blush duo stayed on my face almost the entire day! No fading whatsoever. It was there up until before I removed it. Amazing. When I was in MOA, I asked when they will release RiRi Hearts Collection and the lady said it will be released in Manila in October. After hearing that, I decided to just order from online shops that already have this collection. I got all the items from Makeovershop! She also has a Facebook page but she's more active on Instagram. RiRi Woo is PhP1,000. RiRi Boy and Heaux are PhP1,100 each. Hibiscus Kiss is PhP1,700. 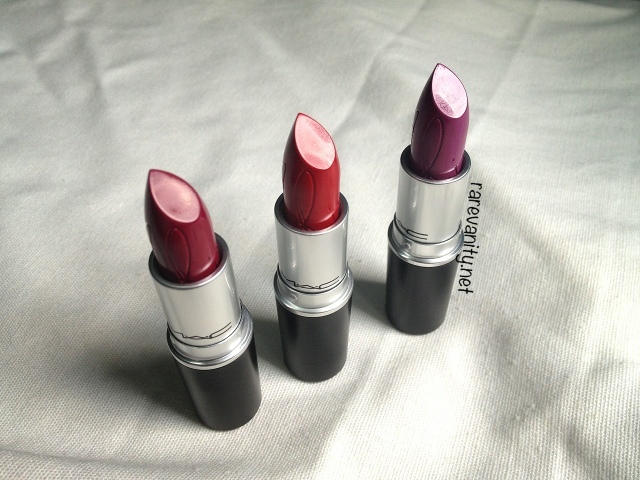 How do you like this MAC LE Collection so far? Riri boy looks really good on you. Haaay, I couldn't find it anywhere. I got mac 'up the amp' instead. 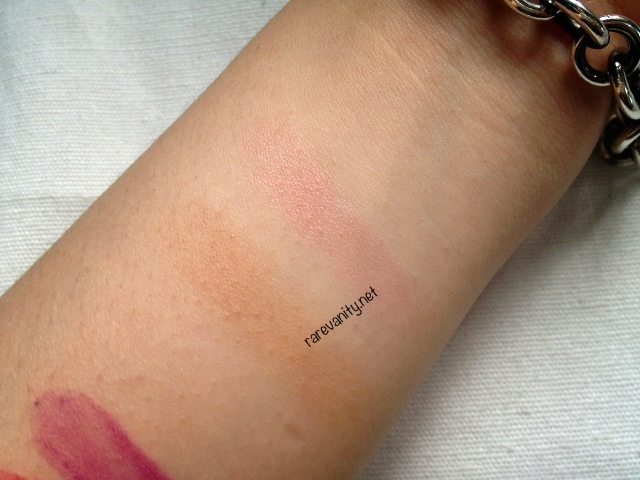 From temptalia's site, it looks like up the amp is a glossier dupe for riri boy.